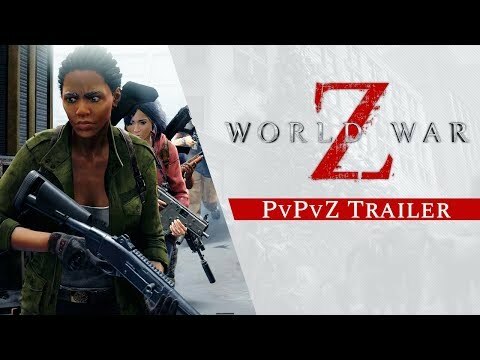 While Brad Pitt’s World War Z sequel looks like it’s hit a roadblock, the upcoming video game based on the popular zombie movie seems to be coming along nicely, if a new trailer is anything to go by. This latest footage courtesy of Saber Interactive highlights some of the Player vs Player vs Zombies antics you can expect from the game. It all looks very impressive, thanks largely to the Swarm Engine that is capable of chucking legions of fast-movie zombies in your direction. World War Z is a globetrotting affair, with players fending off the flesh-hungry hordes in New York, Moscow, and Jerusalem. If you liked Paramount Pictures’ flick of the same name, then this should be right up your street. The game is slated to launch on PlayStation 4, PC, and Xbox One this year, although a concrete release date has yet to be confirmed.